The deadlines for registering for the final SAT and ACT tests before Fall of 2013 are fast approaching. Many students who are taking AP exams in May will also benefit from taking an SAT Subject Test in the same area, as the Subject Tests are similar (albeit shorter than the AP test) and some selective colleges and universities request at least two SAT Subject Tests. Walk-in registration at the last minute is possible at testing locations in May, and the deadline for late registration for the June 1st SAT and Subject Tests is May 17th. Students should show up a half hour early to a testing location if they are considering a last minute spot. Today is the registration deadline for the June 8th ACT, and late registration is available until May 17th. Walk-ins are also possible for the May 4th ACT. 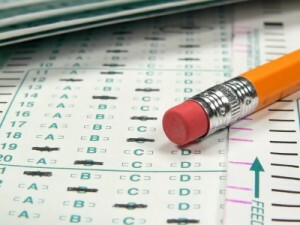 Test dates for 2013-2014 will be finalized and published here soon. Juniors will be taking the PSAT test in October of 2013. PSAT results from junior year are used for National Merit status determination. Students should consider taking a mock ACT soon after to determine which is the best test by using this table, and then focus on one particular test. A practice SAT test is available here.